Last show…. Now, off to have a baby! Last night was my final newscast. The next time I anchor the news, I will be a mother. Yow. My due date is now 10 days away, and fingers crossed this little baby comes (somewhat) on time. I know that motherhood is going to keep me very busy, but I will miss my awesome co-workers. 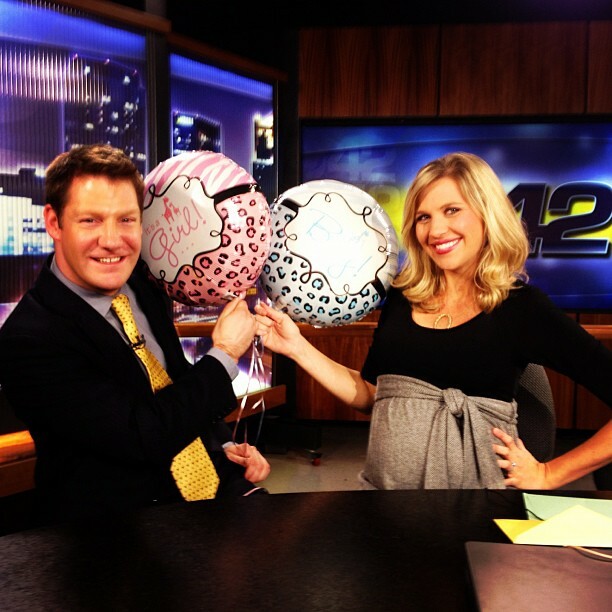 Ted and Patrick surprised me at the end of the news last night with balloons and a hilarious card. So, how am I doing? I’m still feeling pretty good. Some days are better than others. My rib cage hurts, of all things. I think we are going to have the longest baby in the history of childbirth. It feels like this baby is stretched out across my entire torso. My back is sore. 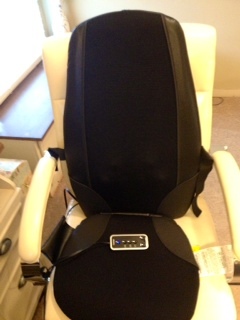 But, thanks to a generous neighbor… I just purchased an amazing seat massager. I’m pretty sure my arse is now glued to this seat. I know Jeff will be happy too… he’s been massaging my back every night. This purchase will prevent numb thumbs. We are finally getting our nursery together. Otherwise known as, Operation Nursery: A Work in Progress. 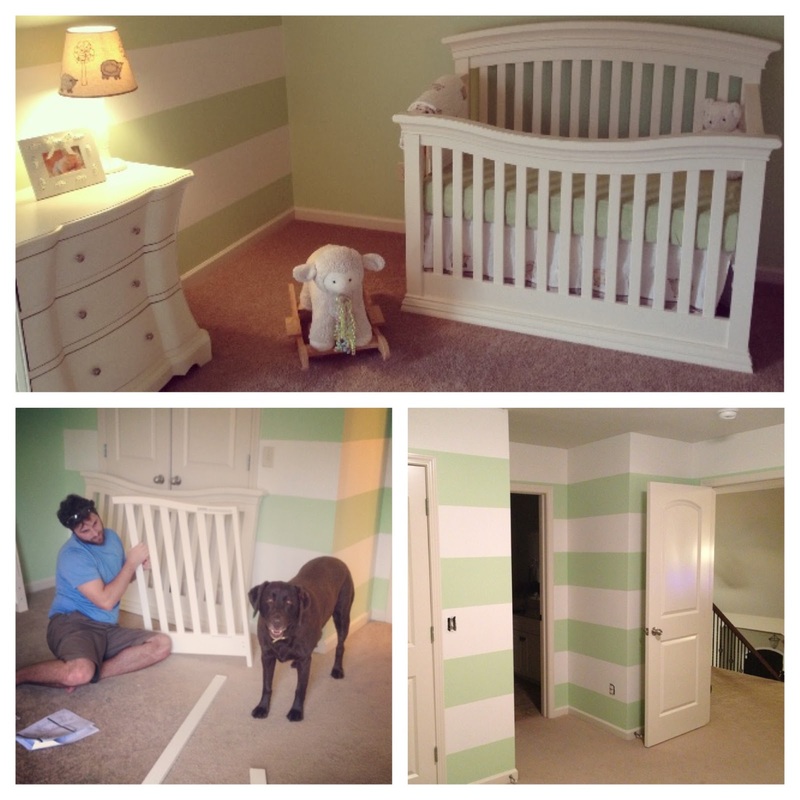 Nance painted the entire room, stripes and all! It’s exactly what I wanted, and couldn’t be happier. Bud said we should take pictures of the nursery and a mugshot of Nance… slap them on fliers and hang them around the ‘hood. He thinks she could make a lot of money. She was not impressed by the money making scheme. We are all getting really excited about this little baby. I’m actually glad we waited until now to get the nursery started… unpacking all the gifts we’ve received has made this very real. 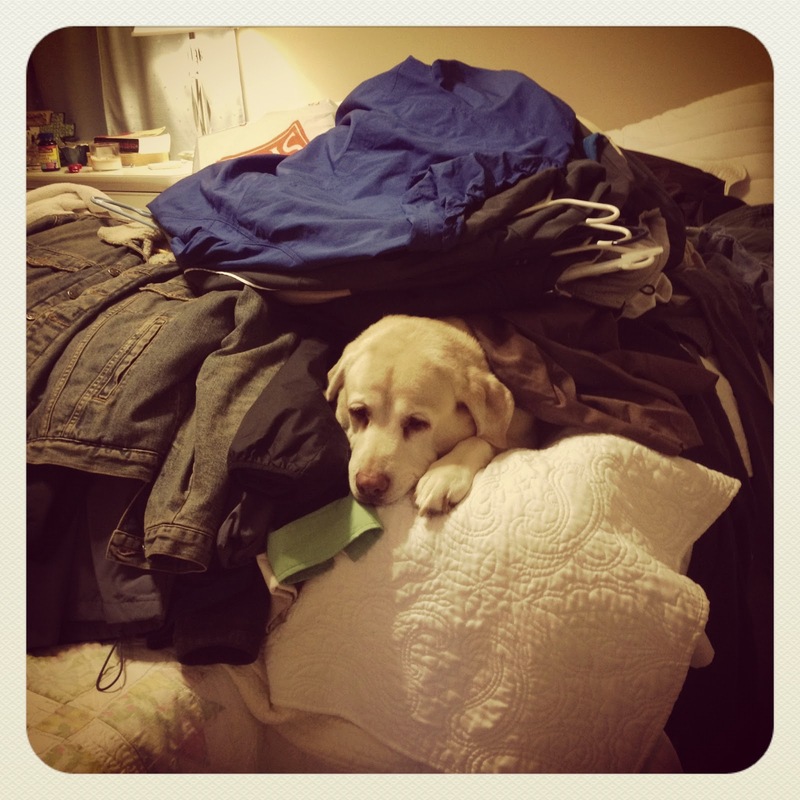 I would like to end this blog by sharing a realistic dream I had last night. My cousin, Natalie, my mom, my aunt Debbie and I were all at Disney World. I wanted to go to a park on our last day… but no one else had interest. Natalie was too busy flirting with a cute bartender. My aunt Debbie was too busy crocheting a baby blanket of Cinderella’s castle. And, my mom was too busy repairing LaBron James’ index finger, which he broke at the hotel swimming pool. Go ahead and translate that.